Hello everyone! Hope you are having a great week so far. I'm here to share a Spring inspired card. The weather here was quite unusual this year. We had few days with warm temperature immediately followed by very cold days in April. Now, it's starting to get warmer. Many trees bloomed in March/April and it was a beautiful sight. 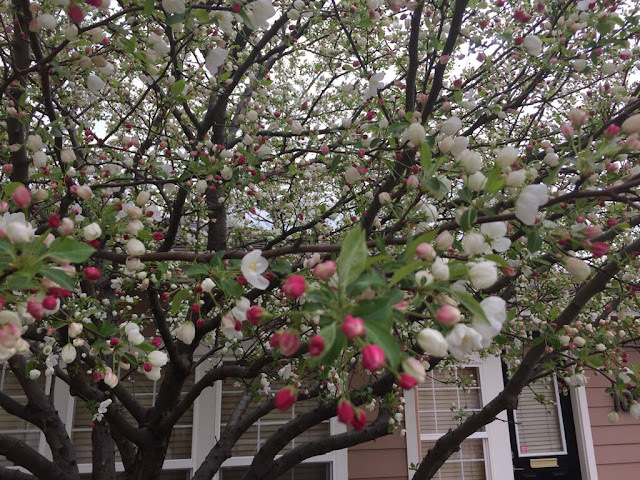 I was particularly amazed to see this tree (I think it is crabapple tree, not sure though. If you know, please let me know.) which had pink buds and white flowers. As soon as I saw this, I was reminded of Power Poppy by Marcella's Happy Crabapple Stamp Set/ Flowering Branches Digital Stamp Set and bought the digi stamp immediately. The advantage of using digis is that it can be used instantly after buying and you can zoom in or zoom out all you want. I zoomed in to get a nice view of the beautiful flowers, printed it on cardstock and colored it with Crayola pencils with no-line technique. I stamped the sentiment from Our Dailly Bread Designs - Blossom stamp set. I cut out a frame with brown card stock and made this into a shaker card with acetate window. I used Inspired By Stamping - Strawberry Slush sequin mix and few colors from my stash. Do you like this card? I appreciate you leaving your comments. Wow! Berina! This is stunning. I can't believe this is a stamp. I thought you drew it. Your way of coloring the image is so unique and beautiful. Thank you so much for sharing your talents with us at Word Art Wednesday! Beautiful shaker card Berina ! If you celebrate Mother's Day on Sunday have a lovely one and a great weekend. Your card is so pretty Berina and I can see immediately where your inspiration came from. Our weather has been much the same, a few nice days before Easter and ever since cloudy and really cold. I love how you delicately color the flowers on this card. Then you made it a shaker card too. Outstanding. Thanks so much for joining in my Challenge for the Mod Squad this week. Good luck and hope to see you again. This is so pretty, a fabulous shaker design. 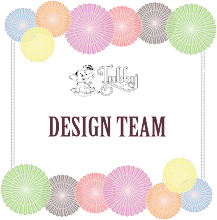 Thank you so much Misty :) This is a digital stamp from Power Poppy. Thank you Debra. I'm so glad you like it. Beautiful shaker card and beautiful coloring! Thank you for joining us at Let's Craft & Create challenge. We hope to see you again. Thank you so much Annie. Happy Mother's day to you too. Thank you so much Barbara. I always love to take part in Mod Squad challenges. Thank you so much Sherry. Beautiful coloring! Love your spring inspired card. Thanks for sharing with us at Word Art Wednesday this week!! What a beautiful card - great idea too! Thank you so much Kath. This is lovely, Berina. Thank you so much for sharing your lovely art in our challenge. Have a blessed week, and please join us again soon. 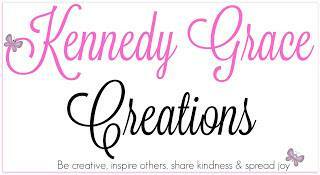 Good luck & Thank you for sharing with us at Let’s Craft & Create challenge 125. Thank you Karen. It's always a pleasure to take part in WAW. Great shaker card, very soft and pretty coloring. 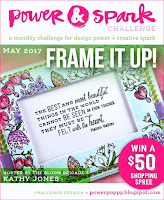 Thanks for playing in our Power and Spark challenge this month. Beautifully done and the colouring looks fabulous - as does that amazing shaker frame you've created! Thanks so much for playing along with Power Poppy this month! !